The town of Bridport lies west of Middlebury, in Addison County. 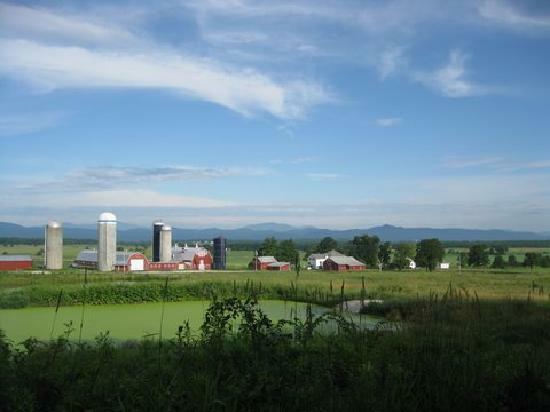 It is full of rolling hills and sprawling farmland. The small village and charming country store are icons of this historic town. Local landmark Pratt’s General Store has been acclaimed as one of the best general stores in all of Vermont. Bridport covers 46 square miles and is home to 1,200 people, surrounded by Snake Mountain on the east side, and Lake Champlain on the western side. The sweeping views of the Adirondacks are truly breathtaking! If you have any questions or would like more information on a property - contact us. You can also sign up for a free account to save your top listings and get updates when similar listings come on the market.